Xavier began his relationship with bicycles in 1988 when he apprenticed under a well respected French artisan, building custom made road and mountain bikes. Over the years, Xavier grew his passion for finding and riding the best trails throughout the USA, Europe, and Africa. He currently owns and operates Crazy Bear Bikes, a limousine service specializing in the transportation of cyclists for various events. 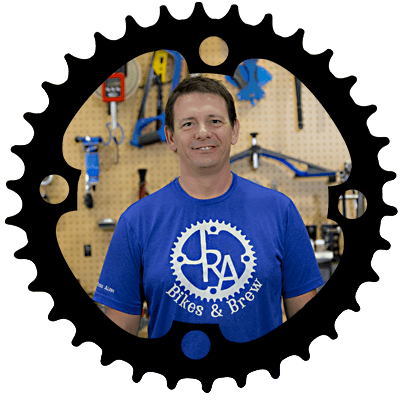 When you visit JRA you’ll find Xavier in our service department performing expert bicycle repairs, custom builds, and suspension work. At night you’ll see him on our weekly shop rides riding his enduro fat bike.